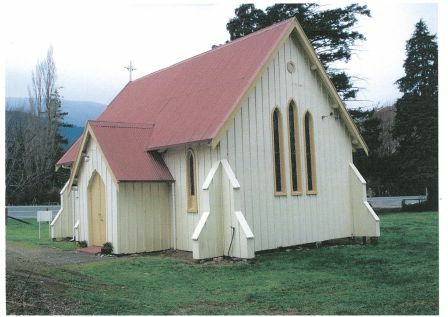 Anglican Church. Koromiko - Picton , Marlborough New Zealand. Historic Places Trust Registered No: 1469; Category 2; Status B. Sir Paul Reeves was baptised in St Johns of the Wilderness at Koromiko, and it is a known fact that a swarm of bees flew into the church during the service. Ancient myth has it that if a swarm of bees arrives at a birth or baptism, the child would have a very successful and prominent life- something in this? St Johns was built of locally milled timber at a cost of £ 131.14.6d. The church was opened by Bishop Suter on April 4, 1871. 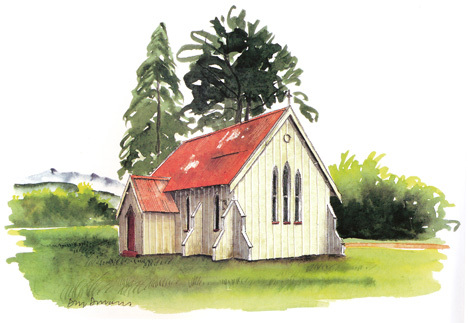 The church is in its original state , although in 1883 an iron roof was put on. Repairs, painting, general maintenance have been carried out as needed right to the present day. Weekly services were held for many years with very good attendances. The Vicar came out from Picton, first by foot, then horse, followed by horse and basket-sulky and later by car. Services are still held every two weeks during the winter period, otherwise every week. 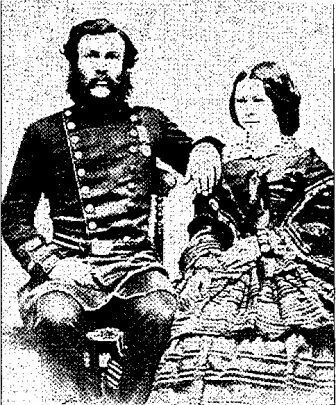 Prominent families connected to the church and its founding members include: Captain (British Army) William Douglas Hall & Mrs Hannah Maria Ann ‘Nony' Ballie; Master Mariner Captain John Henry & Mrs Lousia Dalton; Mr James & Mrs Janet Speed; the Bragg family and the Greensill family - to name a few. Mr and Mrs Speed offered to donate land to all the Christian churches in the area, but only the Anglicans took up the offer. The church is open all the time for visitors to look into and the lighting tells a story: from the candles on the Altar, the kerosene lamps on the walls, followed (in 1932) by Wizard gas lamps and, finally, hanging from the ceiling, modern day electric lights. The unusual Baptismal Font, a large clam shell, was obtained by Archdeacon T.J.Smith and the small oaken wooden Altar cross was presented to the church by Padre T.E. Campion, who not only made it, but used it during his World War II services in Egypt, Greece, Syria, Palestine and El Alamein. 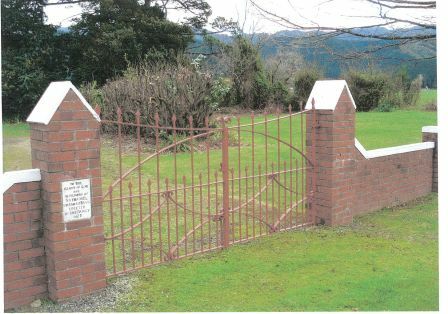 The wrought iron memorial gates dedicated to Nathaniel and Hannah Bragg (another prominent founding family) in Koromiko, were designed and made by Mr Adrian Hart and erected in 1927. It is on record that this little church has never ever been in debt- a tribute to those in the community. If, at a Vestry meeting, it was seen that the 'books' were in debt - perhaps of 1 pound 13.shillings and 6 and halfpence, the congregation was informed and the next vestry meeting would show a profit! For many years, the ladies of the church supplied morning tea, lunch and afternoon teas to all those attending the sale-yard auctions- no mean feat.Each year they raised almost £ 200, which was large sum of money in those days. When the church was being built, the story goes that Captain Dalton had all his mill workers donate a week's pay towards the cost. One imagines that the story has grown over the years and it is more probable that they donated perhaps a day or half a day's pay. A whole week's pay would mean their families would not have money for the rent of their mill cottages or food. Over the years the church and grounds have been maintained by Koromiko families, who take great pride in their ancient place of worship. If you pass through Picton-Koromiko, stop for a moment or two and take a look at and in St Johns in the Wilderness- it is something wonderful from the past, which is still with us. Written by Marie Higgs, 2010, who is researching and writing a book about St Johns of the Wilderness. Berry, K. (1998) Koromiko: a district history. [Blenheim, N.Z.] : Koromiko 125th Jubilee Committee.